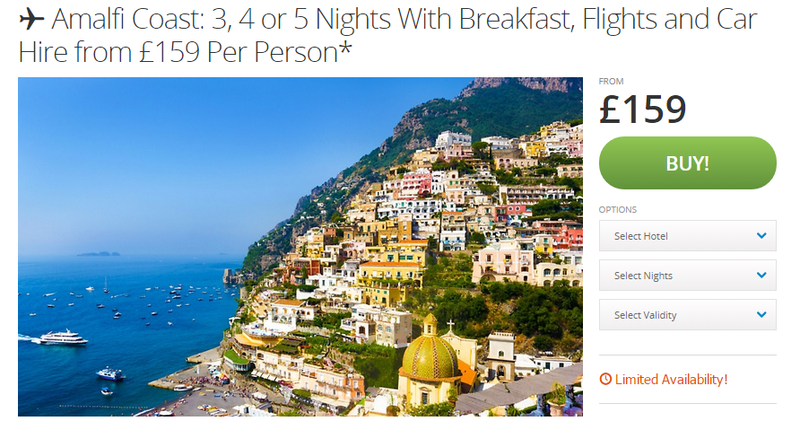 Wowzers guys this is a great package which Groupon have put together. For as little as £159 each you can enjoy a great little package which includes your flights, hotel and car hire for the duration of your stay. There are lots of options available for you to choose from which you can check out HERE. 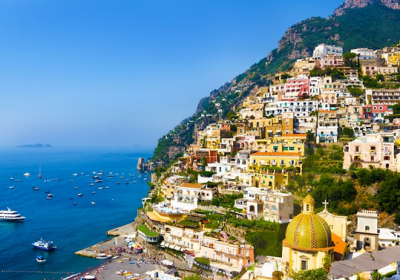 Hotel dei Cavalieri and Hotel Centrale Amalfi welcome holidaymakers to indulge in seaside break on the famous Amalfi Coast, between Salerno and Naples. From famous historic sites dating back to the Greek and Roman period, to relatively obscure catacombs, basilicas, fountains and museums, the capital city of Campania region has many things to offer, as city landmarks go hand in hand with the vibrant city nightlife. Boasting a winding maze of alleyways that pass the facades of churches and the elegant forms of Baroque sculptures, Naples invites travellers to visit the streets of nearby Pompeii, an ancient Roman city destroyed and buried in ash as a result of Mount Vesuvius eruption in 79 AD. Covering over 4000 acres and enclosing 27 centuries of history, Naples historic centre is the largest in all of Europe, and is listed by UNESCO as a World Heritage Site. The Neapolitan cuisine has ancient historical roots, famous for the Margherita Pizza, made with mozzarella and tomato, and the sea food dishes served with macaroni. Hi I want to ask you if you have any cheap holiday deal from 7 of September?